Message to All Kendoka........... Kendo Shiai - an object of ridicule. by Kunio Maeda-Kendo Renshi 7 Dan and Iaido 4 Dan, who moved to Hawaii from Japan in the summer of 1999. 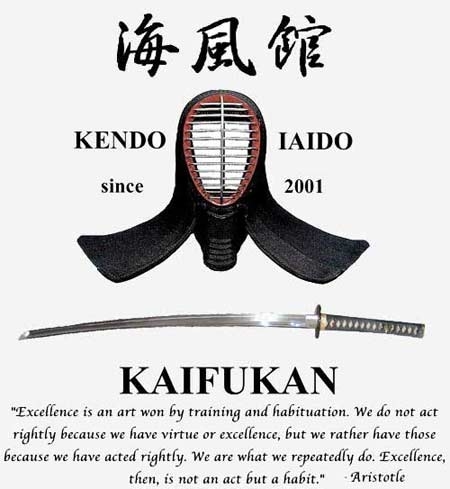 Kaifukan is a member of the Hawaii Kendo Federation, an affiliate of International Kendo Federation. Iaido is also taught but exclusively to the advanced Kaifukan kendo students.